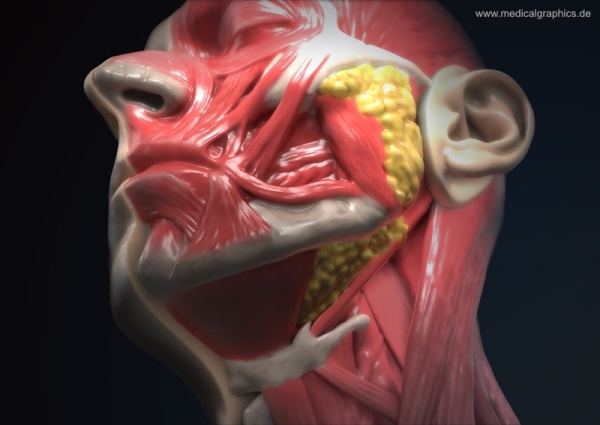 Anatomy of human head, half profile, cervical region, muscles, tendons, skull, larynx, salivary glands, parotid gland, submandibular gland, sublingual gland. Illustrations of the anatomy of the human head in half profile with zoom on the neck. Representation in the style of a plastinate or an anatomical teaching model.